For centuries, the Sea of Cortez has served as a rich canvas for explorers, adventurers, fishermen and artists. Separating Baja California from the Mexican continent, the sea (also known as the Gulf of California) runs 700 miles from the tip of Baja California Sur almost to the U.S. border. 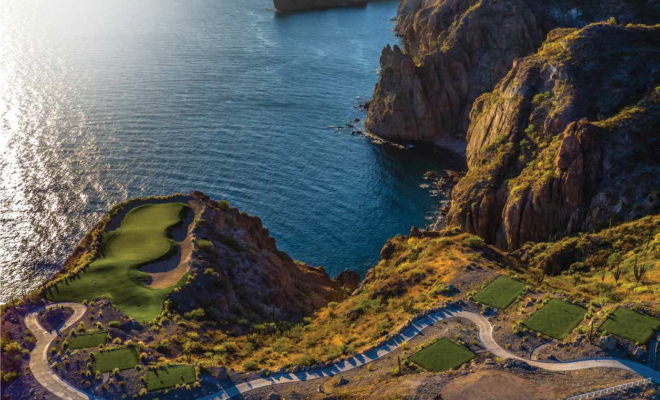 In the past decade, some of the continent’s most celebrated golf properties have been built along Baja California Sur’s comely coastline. 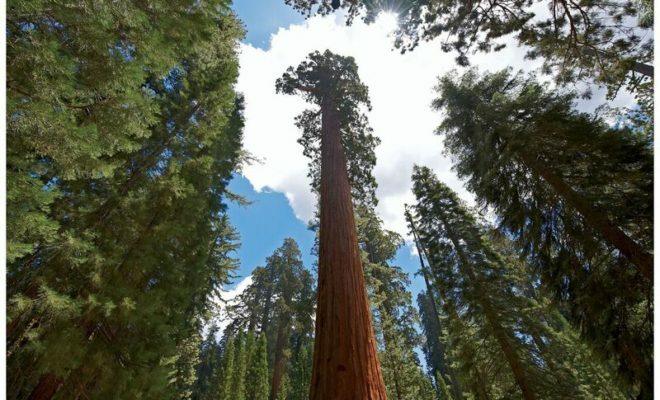 And while most of the activity has centered around Cabo San Lucas, several high-profile developments have taken shape in what is called “the east Cape,” and even further north in La Paz. In February 2018, Antonio Davila’s real estate firm, Ascendancy, for which he serves as president, acquired Puerta Cortés (formerly known as CostaBaja), located in La Paz. The setting for John Steinbeck’s 1947 novella, The Pearl, La Paz immediately appealed to Davilla. The Sea of Cortez boasts an endless array of aquatic adventures, and its unique ecosystem inspired Jacques Cousteau to label it “the aquarium of the world.” Steinbeck further captured the waters in his 1951 travel journal, The Log from the Sea of Cortez, which recounts the writer’s six-week gulf adventure endeavored with marine biologist Ed Ricketts in 1940. With its placid, sheltered waters and UNESCO-protected wildlife and ecology, the Sea of Cortez proves an internationally renowned visitor’s haven for snorkeling, scuba and skin diving, sport fishing, whale watching, treasure seekers (yes, there are sunken ships) and swimming with whale sharks and sea lions. (“They’re like little puppies,” says Davila of the latter). Back on shore, a stroll along La Paz’s seaside Malecón walkway of inviting (and well-lit at night) shops, bars and restaurants moves at a casual pace often belied in Baja’s larger resort destinations. In La Paz, there are your nice little bars and great restaurants, but not massive nightclubs or these big beach clubs. That’s Cabo; our guests want to come and relax in a different, calmer environment. This probably isn’t where you come for a bachelor party. Davila’s appreciation is well-captured at welcoming Puerta Cortés, where Ascendency’s belief in the property was evidenced by a recent $5 million spend in upgrades and renovations. At the rebranded El Cortés GC at Puerta Cortés, the once-closed course is also enjoying the spoils of the cash injection. The only Gary Player Signature design in all of Mexico, El Cortés GC is laid out as an extension of the region’s natural topography and the city’s relaxed attitude. 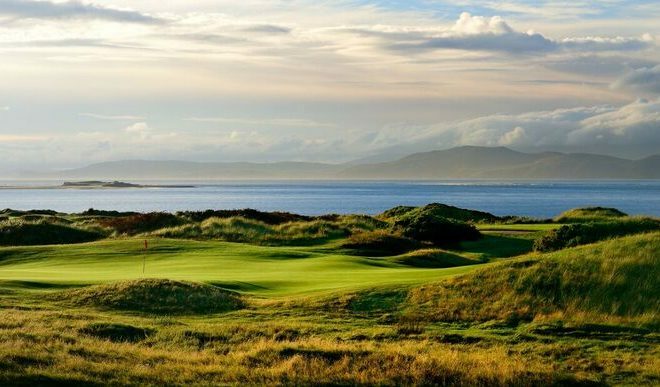 Opened in 2010 to solid acclaim, the course reopened last June and is today in terrific shape. 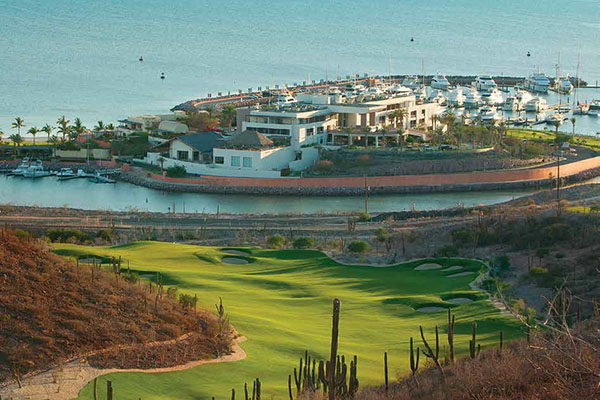 With championship-caliber courses by Jack Nicklaus, Tom Fazio, Tiger Woods and others having debuted further south in Los Cabos in recent years, and the opening of Rees Jones’ TPC Danzante Bay in Loreto in 2016, the reopening of the Black Knight design at El Cortés has only enhanced the modern Baja golf boom. At El Cortés, the evolution is subtle, but charming. The course indeed relies on a degree of aesthetic intimidation to keep the sticks honest, even at 7,081 yards from the tips. 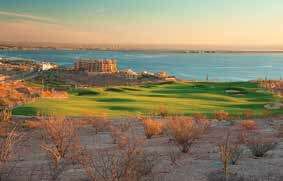 While a host of elevated boxes provide fun with clubbing, landing areas are generous throughout and mid-to-higher handicaps won’t waste much of the getaway day searching the native desert brush for balls gone askew. 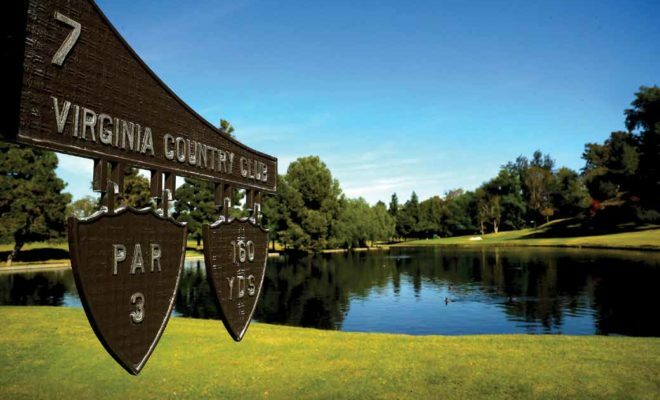 Stout from the outset, the course finds resort-style engagement on the elevated, short par-4 sixth, which offers an excellent view of the water and on-site marina below. 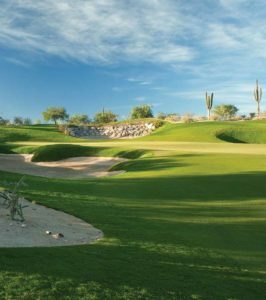 The hole ensuing sports further drop-down, with a strategic, downhill risk-reward shot that will tempt the big hitters to blast for the green, while the prudent will attempt to manage the fairway split by a desert waste area. 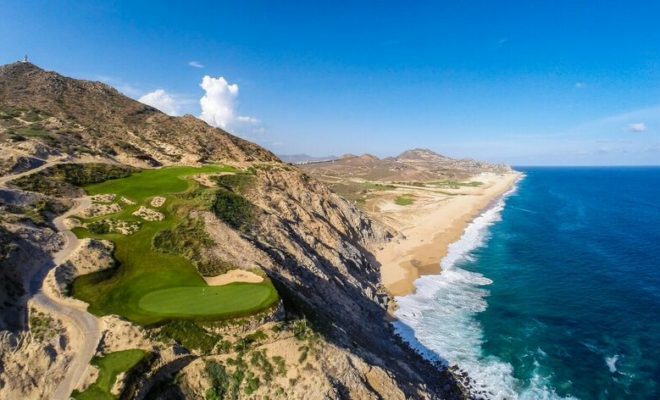 The notable heights of El Cortés find an apex on the 612-yard par-5 14th, which drops about 200-feet down from the dramatic tee setting to the landing area below and, vista aside, boasts the country’s longest par 5 play at sea level. 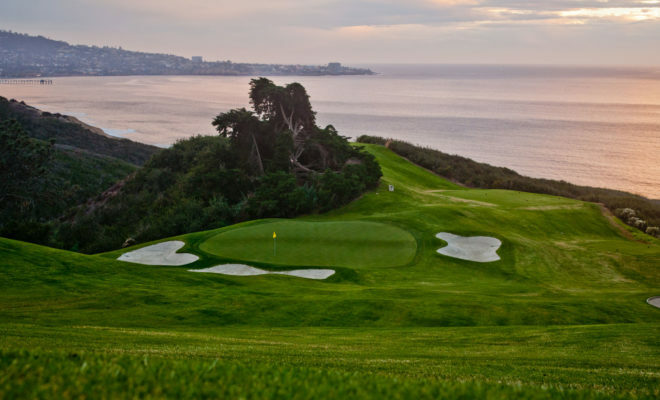 Along with Ascendency’s intent to invest in the course itself are plans to transform the driving range into a 10-hole pitch-and-putt course and construction of a well-perched, beautifully-designed pit stop providing meals, cocktails and an excellent view of the waters below. Like the writers and adventurers before them, today’s travelers to La Paz will find the city to be a true gem of “old Mexico,” and those booking in at Puerta Cortés will find the hospitality as true as the charm.